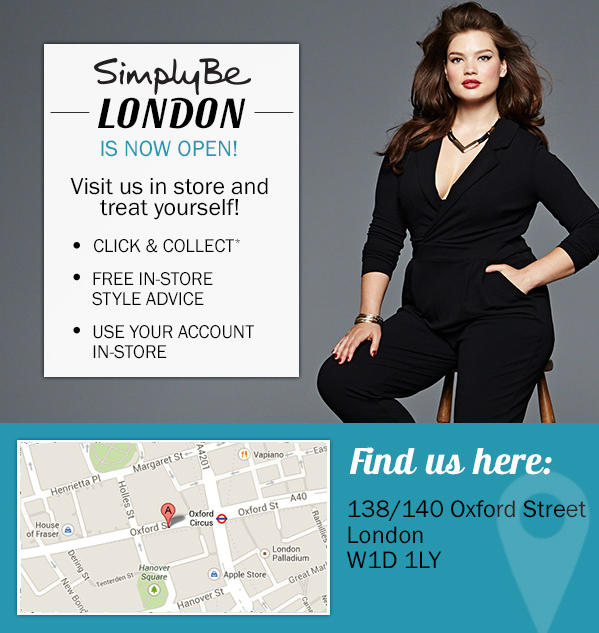 So last week, if you follow me on Facebook or Twitter, you would have seen that I posted a pic in anticipation of the new Simply Be store opening on Oxford Street in London. When I was finally able to visit, I was met with absolute joy. The shop is so well stocked and has all the latest pieces from both Simply Be and the brands they stock, like Joe Browns and Alice and You for example. 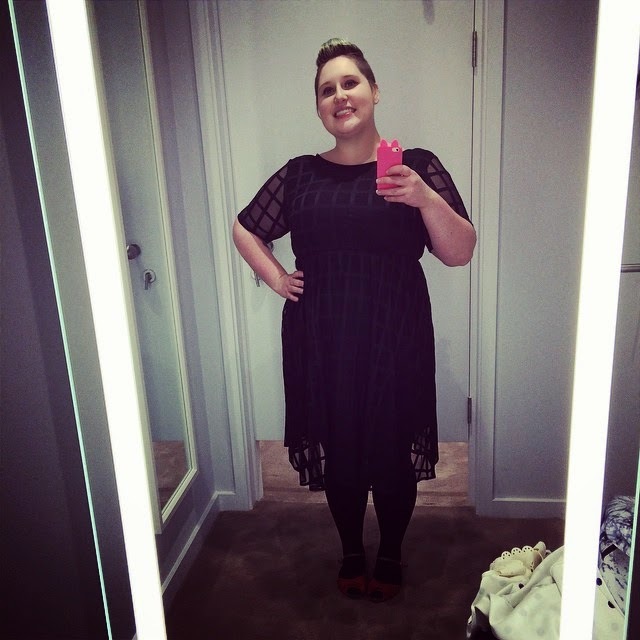 I spent a few minutes trying things on, like this amazing grid dress but had another visit planned with bloggers on Sunday so tried not to get too excited. 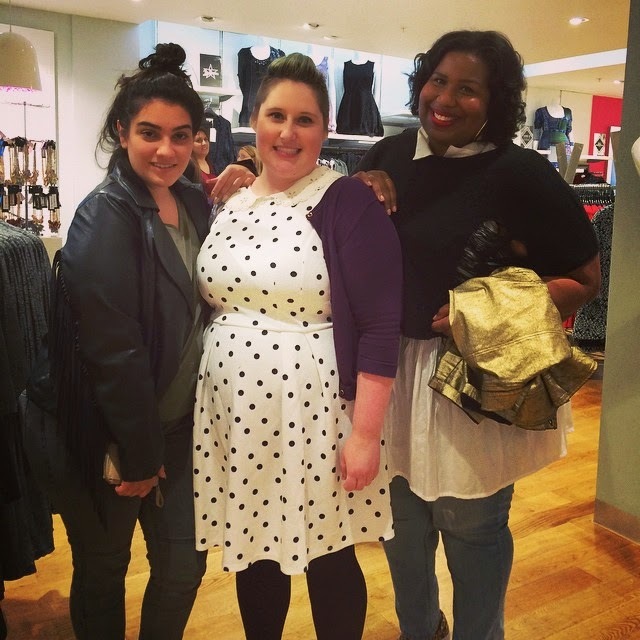 It turned out to be great timing, as I ran in to model and blogger Nadia Aboulhosn and blogger Kelly Brown from United states who were visiting and having a mooch around. They were both absolutely lovely and I'm so glad to have met them. I think this Simply Be store is everything we have always been asking for so be sure to pop over and check it out. Stay tuned for our mini blogger trip that a few of us did yesterday - on the blog shortly!